Obituary – Crowder, Walter Martin « Perry High School Alumni Association, Inc.
﻿Walter Martin Crowder, 67, formerly of Perry, died Thursday morning in a hospital in Layton, Utah, where he was a resident. He was admitted to the hospital June 6 following a traffic accident. Funeral will be at 1 p.m. Monday at the funeral home chapel in Kaysville, Utah. Burial will be in the Kaysville cemetery. 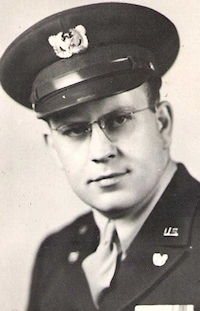 Crowder was born June 12, 1917, in Pawhuska. He was a graduate of Perry high school where he was active in the band and boy’s glee club. 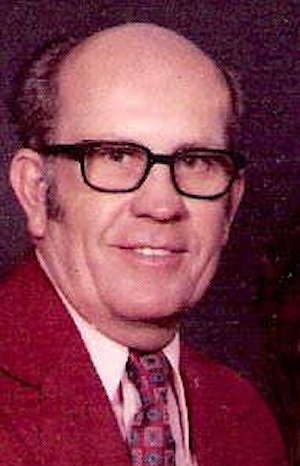 He was married during World War II to Janice Shireman in Beatrice, Nebr. He retired from the United States Air Force approximately 10 years ago. He was an active member of the community church in Layton where he served as an elder, treasurer and was a member of the choir. He was a member of the Perry Masonic lodge. In addition to Mrs. Crowder, of the home, survivors include one son, John, Orem, Utah; one daughter, Karen, Provo, Utah: one sister, Florene Mielke, Anahiem, Calif.; a step-sister, Mrs. June Berger, an uncle, Dr. A. M. Crowder, and a cousin, Leo Johnson, all of Perry.